It might take a few weeks before they publish all the recorded material. I was there most of Friday, and the latter part of Saturday. I am sure there was a wide range of experiences. But from the events I was able to enjoy, I thought that this conference was more about art than science. Joseph Lubin founded Consensys essentially as an incubator for projects that would be built on top of Ethereum (Lubin was the co-founder of the Ethereum along with Vitalik Buterin). It makes perfect sense for Consensys to bring together professionals as well as folks who are just interested in what impact blockchain will have on their areas of expertise. 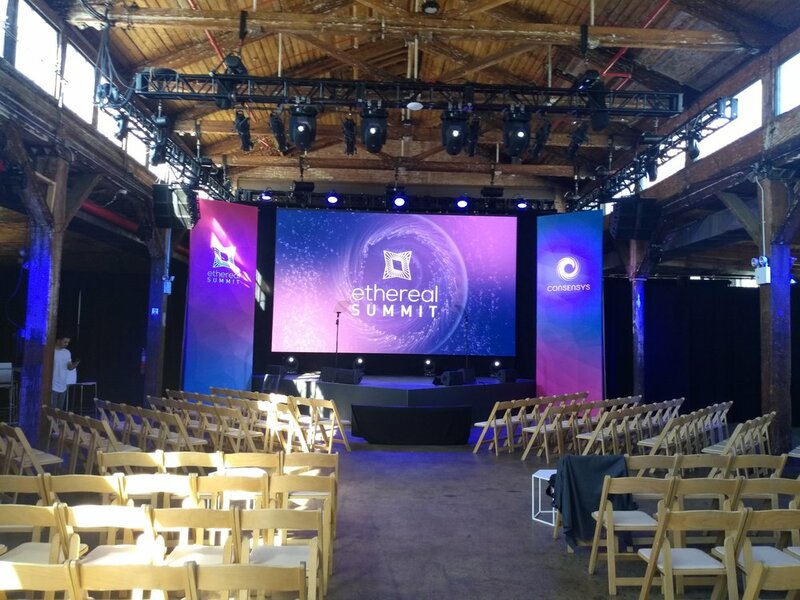 While he didn't directly host the event, the team that created these Ethereal Summits is directly under the Consensys umbrella. The hosts made it a point to have a diverse and inclusive event, and I think they were successful at it, just by looking at all the attendees. The Knockdown Center is a warehouse turned into an art exhibit that also hosts events such as the Ethereal summit. There was definitely a strong art component to the event. It was evident that the host wants to help the mass adopt blockchain technology, and wants to push mass adoption here by showing proof of concept and impact on the art space. The production crew from 196 Events was great. It is a hard event to coordinate, and I offered to help with things like directing speakers from the stage to the press area. (This was a great gig because I got to meet and shake hands with some of the speakers whom I admire). The only thing I didn't like was how close the hall main speaker hall was so close to the entrance, and made it hard to hear for people that sat or stood in the back. After an introduction from the Ethereal team and from Aya Miyaguchi - director of Ethereum foundation - Beatriz Ramos spoke about why she founded Dada NYC. This lady (not avoiding the picture, but talking to someone on her right) is holding Cryptokitty 127 that was just auctioned off for 140K. It was very apparent that art was going to be a major theme as one of the first speakers was Beatriz, the founder of Dada NYC, which uses blockchain technology to create a platform for artists of "unusual" art. I think Ethereal can do slightly better in curating the topics, but I am not really complaining. The program felt a bit scattered. There was not much flow from one event to the next. But that's not a big deal. I am sure Joseph Lubin is a brilliant guy, but he was NOT good at PowerPoint presentations! He had the closing remarks, and some of his slides had very long paragraphs that distracted from his already monotone and low voice. I applaud their effort to bring together projects from very diverse fields, from Art to Fiji Sushi supply chain. I think I missed a good one with Amber Baldet, and several other smaller events that were going on. I also missed Saturday morning, when they had Ronnie Chan from Trevor Noah's Daily Show. People talked about it afterwards and thought it was great comic relief. The unique layout of the venue made the experience a bit adventurous, which I thought was appropriate for this space. There was an art auction that wrapped up the event, where the second most expensive cryptokitty was auctioned off for around 140K. I read a lot of his coverage of crypto before getting into the more technical stuff. The auction was run by Codex. They make a good use case for putting art registry on the blockchain. There was a demo area where crypto projects such as Bluzelle, Golem, Omega One, Token Foundry, Virtue Poker etc. A lot of networking was done here. I also got to see a demo of Golem. This was not like a tech convention where you would see AI drones, or smart appliances. Attendees mainly saw concepts and flow charts. To me, the demos were a little flat, and having the same ones for both days made them less interesting during the second day. But the demos were not the main attraction of the event anyway. I think it was more about the people. Starting with the speakers, there were some big names in this space, and some names I just learned, though they are just be as important in the field. I very much enjoyed meeting Paul Vigna backstage and seeing Laura Shin on stage. I learned a lot from these two journalists during my beginning dive into crypto. Mr. Vigna was promoting "The Truth Machine", which was a recent book he wrote regarding the potential impact blockchain will have on society. Ms. Shin was interviewing a couple of Ethereum guys about Eth's governance and the issue of blockchain governance in general. Laura Shin did not try to play nice with her guests. She was asking tough questions regarding Ethereum's governance. Middle: Nick Dodson (Senior Engineer of Consensys) Right: Vlad Zamfir (Researcher). I listen to her Unchained and Unconfirmed Podcasts to keep pulse on the crypto ecosystem. I also bumped into David Chaum, who created the now defunct DigiCash. Cypherpunks like him paved the way for Bitcoin and the blockchain, so it was great to shake his hand and get a picture with him. 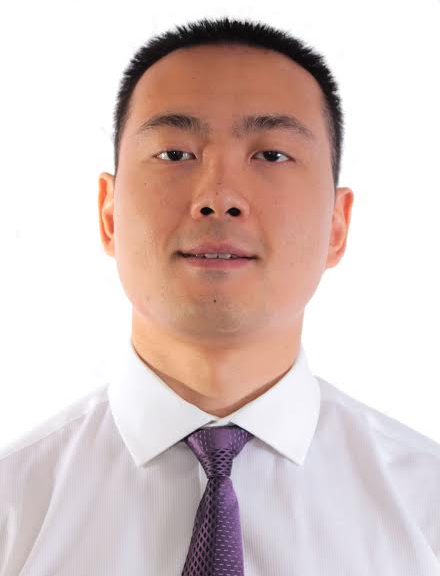 Apparently, he is working on a crypto project as well - Privategrity, which has garnered a lot of controversy since its inception in 2016. Meeting David Chaum was great. His project may be controversial, but his contributions are undeniable. There is a much longer list of CEOs, founders, fund managers, consultants, developers, podcasters and youtubers, artists etc. who were mingling. It was an international crowd that brought a lot of creative energy. I felt like the attendees had more energy than some of the teams demoing their projects. I used to man booths at exhibits for a forex broker, so I understand the challenge to make these demos more dynamic. Still, I believe this space has a marketing gap here and it showed during in the demo area. For the most part, I enjoyed the Ethereal Summit. Consensys and specifically the Ethereal team did a great job coordinating everything. Look, as I noted before, there is really not a lot to show yet in this space. A lot of crypto projects are just visions right now and talking about the tech of a non-existing product would have been a waste of time. Ethereal was able to fill in the entertainment gap with live music, and a art-themed vibe. The speakers were generally wonderful. There were a lot of cool art exhibits and projects being displayed. But it was really the attendees that made this a successful event - analogous to how the success of the crypto space depends not only on the founders, but on those who participate in the system.